We live in a hyper 24-hour news cycle and social media feed of opinion, reaction, ratings, retribution and results. And unless your brand is intentionally a “hostile brand”, you must beware of the swift and awesome backlash that comes with negative publicity. Sometimes these scandals surround the brand’s founder and often involve claims of sexual harassment, impropriety or racism. In many of these cases, the founder’s identity and the brand’s identity are essentially one in the same. As Mark Ritson observed earlier on Branding Strategy Insider,“Founders are inseparable from the brands they create.” This continues to ring true. Marketing history is filled with high profile examples such as Walt Disney for Walt Disney Studios, Colonel Harlan Sanders for KFC, Dave Thomas for Wendy’s, James Dyson for Dyson Vacuums, Sara Blakely for Spanx, Steve Jobs for Apple, Bernie Marcus for Home Depot, Jeff Bezos for Amazon, Howard Schultz for Starbucks and so on. Some have played a major role in their brand’s advertising while others have championed causes behind the scenes that align with their personal convictions or those they envision for the brand they founded. On the plus side, the founder (as the brand’s creator and original innovator) can often present a compelling and convincing case for his/her brand to the customer. For example, Dave Thomas was a high school dropout who went on to found one of the great fast food empires with the promise of “hot and juicy” square-shaped hamburgers. Thomas became a beloved pitchman to millions for the chain in the early 1990’s. Conversely on the negative side, the founder can also make mistakes and generate bad press that is heaped upon themselves and their brands. Harvey Weinstein of Miramax, Steve Wynn of Wynn Resorts or John Schnatter of Papa John’s Pizza are recent examples. In each of these cases, the persona of the founder is “hardwired” to the brand, making their personal troubles especially problematic for the brand they built and the thousands of employees and stockholders those brands represent. That’s why when allegations of sexual misconduct made the news, there was concern about leaving the gigantic Wynn signature atop his hotel in Las Vegas. In Papa John’s case, the immediate observation turned to the millions of pizza boxes bearing the likeness of John Schnatter. As consumers, we intuitively make the connection, for better or for worse, between the brand and its founder. When Howard Schultz takes a position on a social issue or when Bernie Marcus supports a political candidate, these actions may give pause to some who disagree with them, but the damage to the brand is slight or temporary. 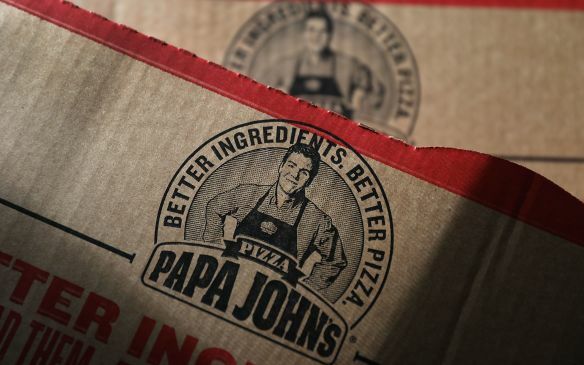 But when the name and likeness of the founder literally becomes part of the brand identity, as in the case of Wynn or Papa John’s, the stakes, along with the risks increase exponentially. You can never be too careful. It’s been said that when the Evangelist Dr. Billy Graham would travel, members of his team would enter a hotel room first for the purpose of making certain a photographer was not there to ambush him with a woman planted there to compromise his worldwide ministry. Dr. Graham knew that even the slightest hint of impropriety would have serious repercussions for himself and his organization. A passionate, personable and articulate founder can be a tremendous asset in building a brand and helping to differentiate it in a highly competitive environment. Marketers agree that the founder can speak with absolute authority (ex. James Dyson for Dyson Vacuums) and create tremendous brand trust and believability. But as a practical matter, this should be an evolving role as the brand matures. Dubin recognizes that his brand should be bigger than himself and should, and for the sake of the company and his customers, outlive him. In today’s media saturated world, founders with established brands would do well to follow Dubin’s example by playing no more than a supporting role over time to the brands they create. While founders should be heralded for their vision and entrepreneurship, they are nevertheless human beings. As such, they run the risk of an unforced error that could cripple the brand they worked so hard to create. Are you on track to “work your way out of the job” of being your brand’s brand? Are you limiting and carefully managing your exposure to downplay your personal brand in order give your company’s brand room to grow? Are you considering what policies, causes, parties or charities you are supporting or aligning with through the lens of your company’s brand?